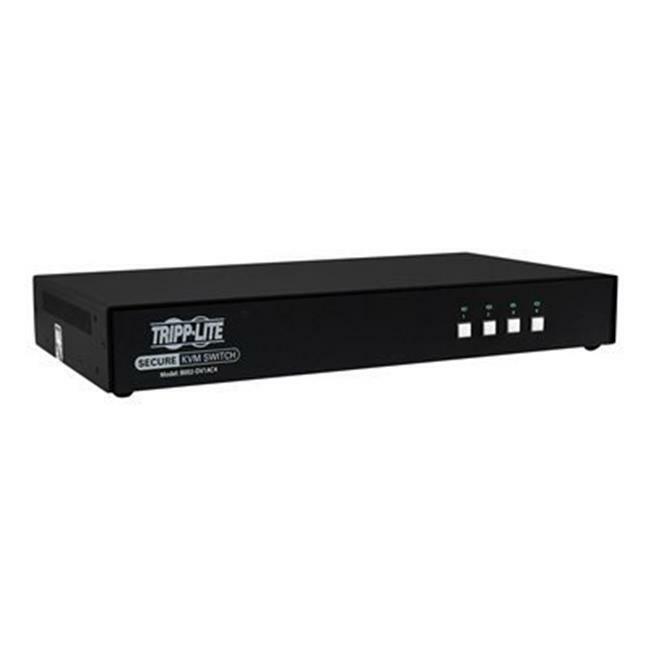 This 2-port KVM switch is recommended for any government, military, financial or healthcare environment where tight security of sensitive data is of utmost importance in a world of constantly changing cyberthreats. Each KVM port is an electronically isolated channel, making it impossible for data to be transferred between connected computers through the KVM. The single-monitor switch supports crystal-clear HD video resolutions up to 2560 x 1600 (including 1080p) at 60 Hz. This KVM switch is certified by NIAP (National Information Assurance Partnership), which is operated by the National Security Agency (NSA), to the latest Common Criteria Protection Profile for Peripheral Sharing Switches Version 3.0. Discrete processing paths to each connected system prevent data leakage, transfer and crosstalk between adjacent ports.